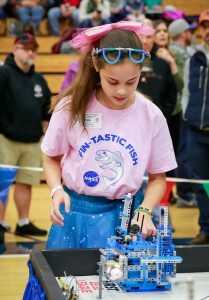 FIRST FLL LEGO robotics team from Albany, the Fin-tastic Fish, FLL Team #27006, won first place honors at the 2018-2019 ORTOP State Championship Tournament in Hillsboro, OR on Sunday, January 20th, 2019. The team took first place honors for CORE Values. They were recognized for being the tournament’s outstanding Inspiration Award winning team and were presented the Tektronix Inspiration Champions Award. 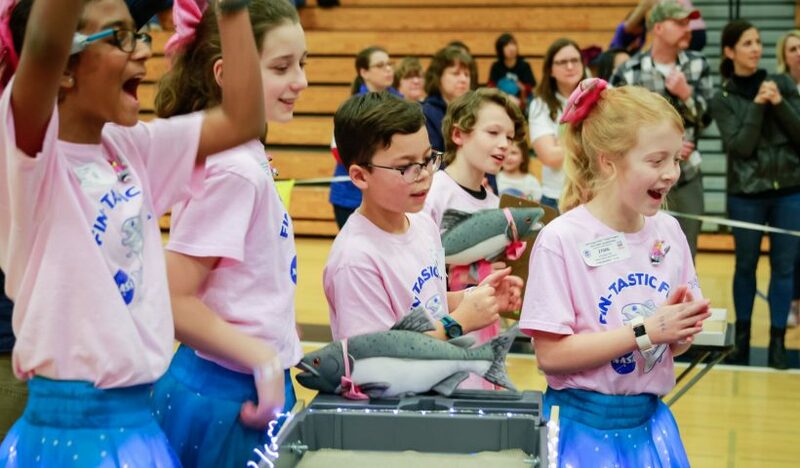 The Tektronix Inspiration Award recognizes a team that displays outstanding teamwork, professionalism, and spirit, both at the tournament, as well as throughout the season. The small team of six was comprised of students from Oak Grove and NAMS. Fin-Tastic Fish team member hard at work. The judges were especially impressed by the team’s humanitarian work to provide clothing for homeless families in Linn County, as well as their work with Heifer International in which the team raised and funded new aquaculture–fish farm–programs in the Philippines and Vietnam. 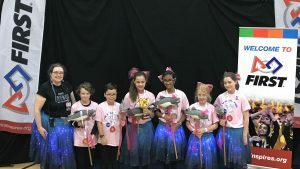 Finally, the team was also recognized by the tournament judges for their outstanding robot design, advanced programming abilities, and competition table mission strategies related to this year’s NASA space theme, Into Orbit. There were 400+ teams competing in Oregon this year of which 120 advanced to the state championships. Something the team is especially proud of is their development of an edible food-based material that can be 3D printed and hydrated in space to improve both the social and mental health of people living and working in space for extended periods of time. They worked with Dr. Lining Yau from the Carnegie Mellon University, Morphing Matter Lab; the MIT Media Lab–Transformative Appetite program, NASA food specialist for the ISS, as well as a number of food industry specialist involved in 2D to 3D printing of food. Fan-tastic Fish State Championships Award Ceremony. FIRST LEGO League® (FLL) is a science, technology, engineering, and math program for small teams of students in the 4th-8th grades. 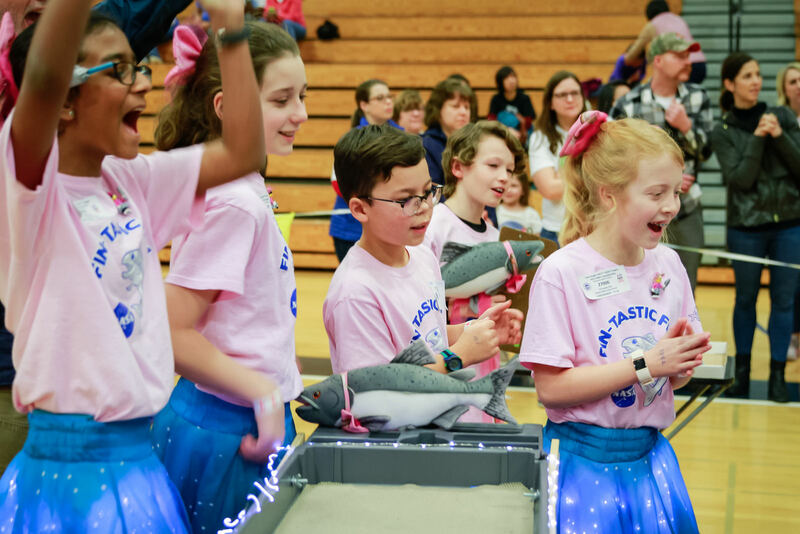 FIRST LEGO League challenges teams to solve a real-world (space) problem with their own innovative solution and to design, build, and program a LEGO robot to autonomously manipulate LEGO models in no more than 2:30 minutes. Team members do all the work while being guided by mentors and their adult coaches.